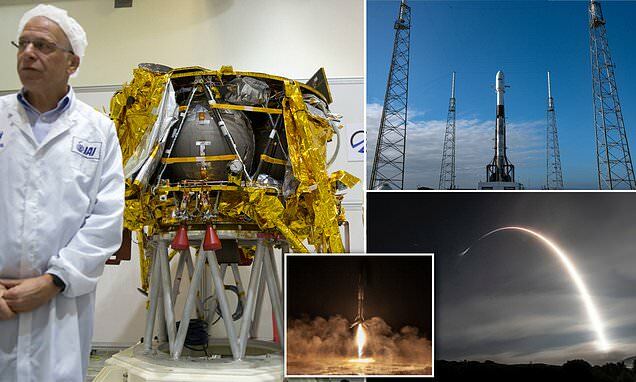 SpaceX has launched an Israeli spacecraft on a history-making trip to the moon. While the lander isn’t its main payload – a communications satellite for Indonesia is – Israel’s four-legged Beresheet is the world's first commercial lunar lander. And, in yet another remarkable feat, this flight marks the third for this Falcon 9 first stage booster, which previously launched twice last year. The Falcon 9 that flew tonight was also used last year to deliver the Iridium-7 and SAOCOM 1A payloads to orbit, SpaceX said ahead of launch. It successfully blasted off on schedule Thursday night, before separating from the second stage and landing back down on the Of Course I Still Love You droneship for its such accomplishment. Israel is aiming to land on the moon after hitching a ride with SpaceX tonight. It seeks to become only the fourth country to successfully land on the moon, after Russia, the U.S. and China. But, the spacecraft will take nearly two months to reach the moon. 'We thought it's about time for a change, and we want to get little Israel all the way to the moon,' said Yonatan Winetraub, co-founder of Israel's SpaceIL , a nonprofit organization behind the effort.